...if you are interested in receiving news! When you least expect it, four molars appear in the hindmost corner of your jaws. Wisdom teeth! A tangible, and sometimes painful, proof that you have grown older – and hopefully a little wiser. Far too many of these noble samples of human porcelain end their days in a dentist’s trash bin. This is a reproduction of the designers molar, as an homage to the thinking, reflecting and critical minds. 365 Knitting Clock stitches time as it passes by. It knits 24 hours a day, one year at the time, presenting the physical representation of time as a creative and tangible force. After 365 days the clock has turned the passed year into a two-meter long scarf. Now the past can be carried out into the future and the upcoming year is hiding in a new spool of thread, still unknitted. The clock was first shown during the DMY design week in Berlin in 2010, and since then it has been exhibited across the world; at the Triennale Design Museum in Milan, the National Museum in Beijing, MUDAC - design Museum Lausanne and as a part of Vitras show during Stockholm furniture fair, among other places. It has been awarded with prizes such as Frame magazine Student Award, Time to Design New Talent Award and Design Reports Award during Salone del Mobile in Milan. The Grandfather Knitting Clock has become a permanent part of the reception interior at the awarded design hotel The Thief in Oslo, Norway. The 365 Knitting Clock is made in a limited edition of 10 numbered pieces + 2 A.P. + 2 Prototypes. Grandfather Knitting Clock stitches time as it passes by. It knits 24 hours a day, one year at the time, presenting the physical representation of time as a creative and tangible force. After 365 days the clock has turned the passed year into a two-meter long scarf. Now the past can be carried out into the future and the upcoming year is hiding in a new spool of thread, still unknitted. The first knitting clock was shown during the DMY design week in Berlin in 2010, since then it has been exhibited across the world; at the Triennale Design Museum in Milan, the National Museum in Beijing, MUDAC - design Museum Lausanne and as a part of Vitras show during Stockholm furniture fair, among other places. It has been awarded with prizes such as Frame magazine Student Award, Time to Design New Talent Award and Design Reports Award during Salone del Mobile in Milan. The Grandfather Knitting Clock is made in a limited edition of 8 numbered pieces + 2 A.P. + 2 Prototypes. Our heritage goes far back. Back to people we have never met or heard anything about. Back to those who have lived here for generations and built themselves a home and life in this landscape between the mountains. And although hundred –thousands! - of years have passed; the fjords and the mountains are still the same. Blaane is an abstract window into the spectacular mountain landscape. The wool weave is fastened to a wooden frame and due to the semi-transparency the screens allows light and movements to glimpse through. The fabric is developed in the weave-lab at Faculty of Fine Art, Music and Design at the University of Bergen and woven by Innvik Sellgren. A Kove (eng:alcove) used to be a special room or niche for sleeping, built into a wall. These sleeping alcoves were usually hidden behind a curtain during the day, since they were placed in the only room of the house. Sometimes they would be covered with blankets and cushions to serve as a sofa – a quite logical and intuitive way to solve it. Inspired by these old-school sleeping-sofas; Kove is meant to be an all-around piece. It can be transformed from a sofa, to a daybed and to a bed in just one single movement. Its simple principle of expansion stretches from 75 to 115 cm. What do we choose to keep? What are these things we hide away in boxes? Memories, small stories and secrets? The Soria Moria is a set of 11 boxes of decreasing size, which can be stacked on top of - or nested inside of - each other. While meeting the practical task of storing, it also becomes a sculptural object itself; a castle to honour all those small or large treasures that it contains. You+Me is free from power points and can, like a candle, simply be brought around as you wish. It can hang or stand. You+Me is a teamwork between product and user; the lamp is charged simply by pulling the cord and due to its dynamo technology it uses this energy to provide light – one minute of charging gives thirty minutes of light. The warm light from the one strong LED is spread by a lens, so as to make the most of every bit of power. Have you ever been in the woods at night? Have you seen how the silhouettes change at dusk and the ancient, wooden churches turn into mountains and dragons from the past? It is in the evening that the magic happens and everything changes; om kvelden. Kvelden pendant lamp materializes this transformation; from the the bright sun to the dark night sky, the changing landscape and the warm light. It is coated black on the outside, but has kept its natural wooden colour on the inside. Through the all-wooden construction it provides a warm light that is filtered through the surface, glimpsing through cracks and openings. 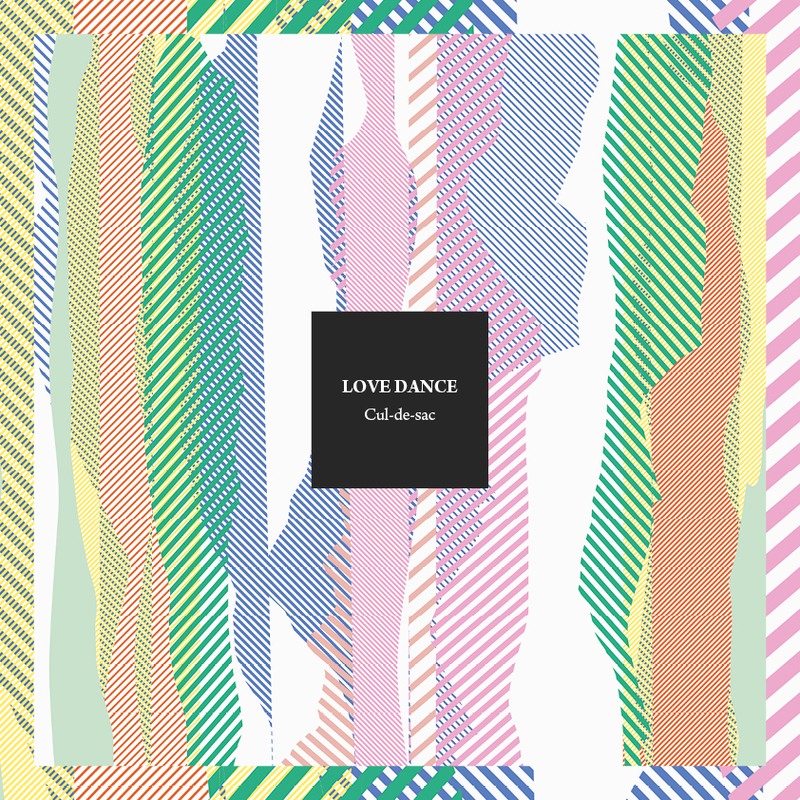 A series of three Album Covers; two singels and one EP for the Norwegian electronic pop duo Love Dance. Inspired by their danceable, pop music, we created a design where rhythm and colours play the main parts. In the time before Internet, television and cell phones started captivating our time and attention, people spent greater part of life wondering about the world around them. Plants and animals were honoured with stories and poems, as people saw the importance in every one of them. Each had their own task and place and the animals had powers and abilities that people could only dream about. And so they did. Garm & Co outlines some of these ancient animal stories from the North in a wish to again let them inspire and entertain. The wooden stick horse is one of the oldest toys that we know of. Through centuries children have been galloping off on their wooden horses. Yet, from now on there will also be some crawling, jumping and flying to do, as the old horse introduces its new friends! Nature has the spectacular ability to make separate objects become one. Enabled by the factor of time, natural objects will start to intertwine, grow into-over-or-in-between-each-other and eventually they have (re-)shaped the scenery. What would our everyday objects look like if they had the same power? In memories or dreams things sometimes have that ability. The object in this experiment includes two well-known elements; a chair and a rug. Yet, is it any of these anymore; is it a chair or is it a rug? Has it become something new? Or just very odd? Memory Carpet invites us to reflect upon our everyday habits – and about the necessity of breaking them. Intuitively you know how to spin a spinning top. Everybody knows that. So, can you please spin over the salt?! Ly is a double weave wool blanket with a three-dimentional pattern. The design is a transformed hand-drawing, which have been woven on a digital loom. The tree-dimensional effect occurs through the lines and the space between and adds volume and thickness to the material. The fabric is developed in the weave-lab at the Faculty of Fine Art, Music and Design at the University of Bergen and woven in Innvik Sellgren. Our natural environment is always changing; flowers bloom at a certain temperature, leaves fall off at another, and snow falls at temperatures below zero. In the same way the Season Carpet is sensible to temperature changes and its colours and pattern varies according to its surroundings; the weather and the season. The carpet is braided in a three-colour pattern, where the colours have different temperature sensitivities and will change at different temperatures. This way, the carpet will change its look through the day and the year – depending on the environment. This project was possible thanks to the generous support of Matsui Inc. This mobile and flexible seat was developed to offer a personal seating outside the home. The construction makes it possible to roll the seat together in one direction while in the other it stabilizes and forms a seat. All you need is a tree to fasten it around: the seat will become stabile and the tree-pole turns into a back lean. Parasitz is easy to bring along, it is light and becomes so small it fits in the bag. The height and width is easily adjustable (it forms after the size of the tree pole) which makes it suitable for all ages and sizes. The materials were chosen for the outdoor surroundings: water-resistant fabric and wood. The seat needs the tree to form a stabile, comfortable and natural seating. It is integrated, but without leaving any traces. One of our oldest household-utensils is the spoon. In Hebrew the word spoon actually means the palm of the hand and throughout history spoons have been carved in wood or bone, forged in metal and burnt clay. Because of human ergonomics and the functionality of the object, the spoons of today are very much like those of our ancestors and we can draw the conclusion that its product-evolution is complete. Or is it? Inspired by the strategy of evolution, a small experiment started: to find out whether there was still any potential for development in such an old invention and if an untraditional design-method could help us discover these hidden and hypothetical possibilities. By studying eating habits and different existing spoons, we started recombining and mutating. Candlelight dinners, baby spoons, salt and pepper, travelling, cooking, materials and shapes. The result: a collection of curiosity! …and a range of useful and interesting spin-offs; like the soupspoon made out of bread, the whisk and spoon combination for cooking, the camping spoon with a can opener, the spoon with thermochromic pigments to check the temperature while eating or cooking, the spoon-necklace that you always have ready and the combined spoon and napkin ring. A project for inspiration, mapping, and discovering.